The nineteen tracks on two CD'sin addition to vinyl as well as a choice of digital formatstouch upon a finite range of milestones within this influential ensemble's history. In doing so, the set clearly delineates the changes wrought in the group's sound over the course of it's career (mirrored in the astute picks for photos within the enclosed booklet), while at the same time providing a listening experience that's edifying on its own terms: David Glasser's mastering, under the production supervision of archivist David Lemieux, reveals remarkable detail, not just within the Grateful Dead's improvisational interplay over the years, as on 1972's "Morning Dew," but also in the discipline applied to structured arrangements like that of "Brown Eyed Women" from the same year's epochal tour of the European continent. 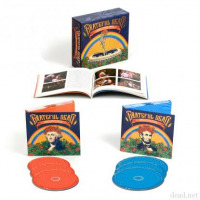 So, "St. Stephen" opens the set, a cull from the ground-breaking Live/Dead (Warner Bros., 1969) album, while closing with "So Many Roads ," a latter-day composition from the Jerry Garcia/Robert Hunter composing axis taken from the very last Grateful Dead show with the titular leader/guitarist/vocalist some thirty-five years later; it is every bit as moving an essay as the author suggests, perhaps more so with the stirring benefit of hindsight, not to mention in the context of this very anthology. As with so many titles from the group's archive, the track sequencing also plants an almost subliminal message, in this case regarding how such music reveals itself ever more vividly over time: the way the vocal harmonies behind the titular leader recall Bob Dylan's "Knockin' On Heaven's Door." In between those two cuts lie well-known numbers from the expanse of the Grateful Dead discography. A clutch of numbers appear from the near-legendary Europe '72 (Warner Bros., 1972)originally a triple vinyl album-including a vivacious "Truckin'" as well as a heart-stopping "Morning Dew." 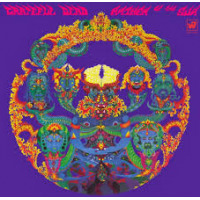 Meanwhile, the pair excised from the near-equally famous eponymous live release, commonly known as Skull & Roses, illustrates the breadth of style the Dead honed when passing from the deeply-exploratory likes of their earliest work, then emerging into and out of the more concise approach of the aforementioned two studio LP's issued as the Sixties turned to the Seventies. In the wake of the focused economy of the sessions that begat those records, the group found a middle-ground for expansive improvisation upon what is arguably the most outstanding original material they ever composed. 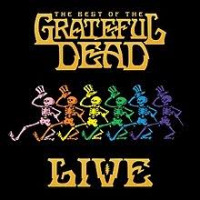 The Best of the Grateful Dead Live doesn't purport to be comprehensive, but it does offer the novice virtually all the necessary touch-points by which to become more intimately acquainted with the unit's entire body of work (the exception, omitted no doubt by time constraints: any example of Ron "Pigpen" McKernan's extended stage spotlights). Accordingly, "Fire on the Mountain" is here, but not the number with which it became a customary (and often monolithic) segue, "Scarlet Begonias." And while the tour of spring 1990 is notable on a number of fronts, the stop at Nassau Coliseum, on which saxophonist Branford Marsalis guested (unrehearsed!?) for "Eyes of the World," is indispensable to such a compilation as this. Reference to the fabled performance at Cornell University in 1977 may also have been a fait accompli in the process, but that doesn't make its documentation here in the form of "Estimated Prophet" any less crucial. And while a single track can't truly encompass all the virtues late keyboardist/vocalist/songwriter Brent Mydland brought to the Grateful Dead during his twelve-year tenure, the inclusion of "Blow Away" is pivotal. The rousing twelve-minutes-plus version here is an enlightening summary of the inspiring qualities he brought to the band, and yet another reliable signpost for the uninitiated to seek out the work of the group (and not just when he was in tow in order to further appreciate his participation. Along those very same lines, the appearance of the Grateful Dead's only mainstream 'hit,' "Touch of Grey," may also strike more than a single responsive chord in that comparatively unschooled Grateful Dead fan still evolving in his or her grasp of the band's work. The echoes of vintage Garcia/Hunter compositions, as well as noteworthy songwriting collaborations of Bob Weir and lyricist John Perry Barlow, has never sounded so readily discernible as in this take from the Buffalo show of the generally well-regarded 1989 tour, so the dual significance of the selection should propel investigation, not just into that specific phase of the band but beyond into others equally intriguing. 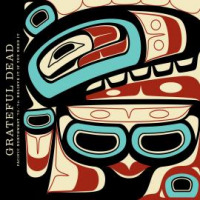 So, as with so many Grateful Dead releases, there's potentially (much) more than meets the eyes and ears in The Best of the Grateful Dead Live. Track Listing: CD 1: St. Stephen; Bertha; Wharf Rat; Sugar Magnolia; Jack Straw; Truckin’; Morning Dew; Brown Eyed Women; The Music Never Stopped; Estimated Prophet. CD 2: Friend Of The Devil; Feel Like A Stranger; Fire On The Mountain; Bird Song; Ripple; Eyes Of The World; Touch Of Grey; Blow Away; So Many Roads. Personnel: Jerry Garcia: vocals, guitar; Bob Weir: guitar, vocals; Ron (Pigpen) McKernan: vocals, harmonica, keyboards, percussion; Tom (T.C.) Constanten: keyboards; Keith Godchaux: keyboards; Brent Mydland: vocals, keyboards; Phil Lesh: bass, vocals; Bill Kreutzmann: drums, percussion; Mickey Hart: drums, percussion; Donna Jean Godchaux: background vocals; Branford Marsalis: saxophone.